According to reports in France via TeamTalk, Unai Emery has opened talks with Andre Gomes about a move to north London as the Arsenal boss looks to sign the £35m-rated Barcelona midfielder. Emery has been busy in the market since replacing Arsene Wenger as he’s already snapped up goalkeeper Bernd Leno, right-back Stephan Lichtsteiner and centre-back Sokratis Papastathopoulos. Young midfielder Matteo Guendouzi has also arrived from Lorient while defensive midfielder Lucas Torreira has been signed from Sampdoria but it seems Emery is still looking to add some creativity to his midfield ranks after losing Santi Cazorla and Jack Wilshere. Gomes has been touted as a prime target in recent weeks and TeamTalk are now carrying a report that claims Emery and head of recruitment Sven Mislintat have held talks with the Barca star about a move to the Emirates. 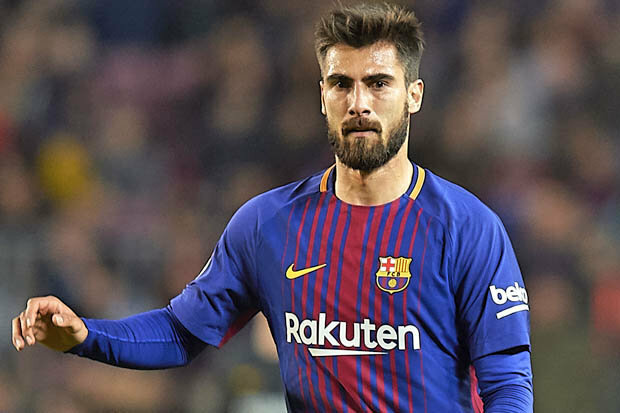 The report – which originates from France – says Gomes is determined to leave the Nou Camp after a frustrating two-year spell following his move from Valencia and Barcelona are ready to sell for around £35m. Gomes started just 6 games last season and has been left out of the Barca pre-season tour squad so a move is almost certain this summer and it looks like the Portuguese international could be heading to Arsenal. The report says Barca are already lining-up potential replacements with Ilkay Gundogan, Adrien Rabiot, N’Golo Kante and Steven N’Zonzi listed as targets so it seems only a matter of time before Gomes leaves. Arsenal look like we’re in the driving seat to sign the 24-year-old midfielder but we aren’t the only club in the running as TeamTalk says Tottenham are also keen on the Barca man. It will be interesting to see how things develop but I’m a little surprised Emery is pursuing another big-money central midfielder as we currently have the likes of Torreira, Aaron Ramsey, Granit Xhaka, Mohamed Elneny, Ainsley Maitland-Niles and Guendouzi all competing for starting spots. We could perhaps do without another more creative option but surely a winger should be a priority over another central midfielder? If we’re going to spend circa £35m on any player I’d much rather we went for a pacey winger as we have very little natural width in the squad.